A press release just landed at DJWORX Towers with some interesting news. After Native Instruments’ iOS app Traktor DJ became a hit when it launched in 2013, features have arrived in dribs and drabs, but that’s about to change with version 1.4, out today. Along with the usual bug fixes and improvements, there’s a couple of major additions. Firstly, the biggest change is the integration of DJ mix streaming service Mixcloud. From now on, you’ll be able to upload your recorded mixes directly to the site from the app itself. Secondly, there are three new DJ effects to play with: Iceverb, Transpose Stretch and Reverse Grain. Those of you with Traktor Pro 2 will no doubt recognise them as some of the classic Traktor sounds. This brings Native instruments closer to offering the same experience on Mac/PC and iOS. To celebrate the new feature, Native Instruments and Mixcloud have dug down the back of the sofas and had a whip around the office for a paid weekend trip to Ibiza for one lucky winner. All you have to do is record and upload a mix to using Traktor DJ and Mixcloud and get your mix picked by a legend (only bloody A Guy Called Gerald!). Good luck! The advantages and disadvantages of Mixcloud as a hosting service aside, integrating the ability to upload mixes not only further cements the validity of tablets as a DJ platform, but further reduces friction when creating content for the web, something modern “consumers” (what a horrible word for “customers”) crave and online services need to survive and grow. Adding music service integration is very much a way to help smartphones and tablets to become their own DJ platform. I’ve said in the past that Mixvibes should work with Google to get Google Play Music (with offline playlists) fully integrated into the Android app to really push the platform. Recently, the Pacemaker iPad app added rudimentary Spotify integration to play streamed music from the service. Cross DJ on iPad now lets you upload directly to Soundcloud. 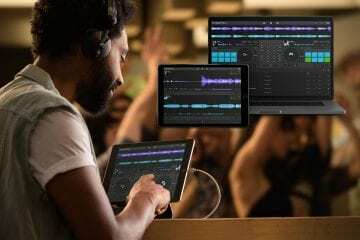 To have one of the Big Boys™ take this aspect seriously is a very important step, and I wouldn’t be surprised to see the iPad version of Traktor gain more parity with Traktor Pro 2 as a result. Obviously a question surrounding this is ‘how do we cope with the reliance on connectivity for these services?’. If we’re on-trend with how things are going now, wireless networks are only going to become more commonplace. Anecdotally, a recent trip to Florida saw me visiting Epcot. Every part of the park was seamlessly networked with wifi hotspots and great internet… so much so that I was able to video call my friend during the evening fireworks so he could watch. This goes to prove that there’s no reason we won’t be seeing decent wireless networks in clubs as standard. Three new unlockable effects have also been added to TRAKTOR DJ’s creative features. Iceverb, Transpose Stretch, and Reverse Grain can be accessed for free when a notification window prompts the user to unlock. Most of you can probably take this a step further and suggest that future effects could have restricted access and thus cost money. The reality is that this is where the industry is headed. Serato has already set a precedent with Serato DJ and paying extra to unlock the iZotope effects packs, Pitch ‘n’ Time, and Serato Video. Many corners of the games industry are embracing micro-transactions enthusiastically as a way to drip feed income over time. Like it or hate it, it’s here to stay. How do you feel about Mixcloud integration? 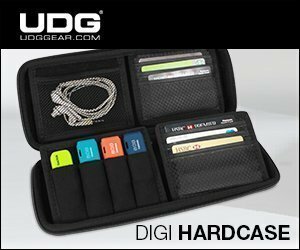 Do you think Native Instruments will add in-app-purchases to their software?